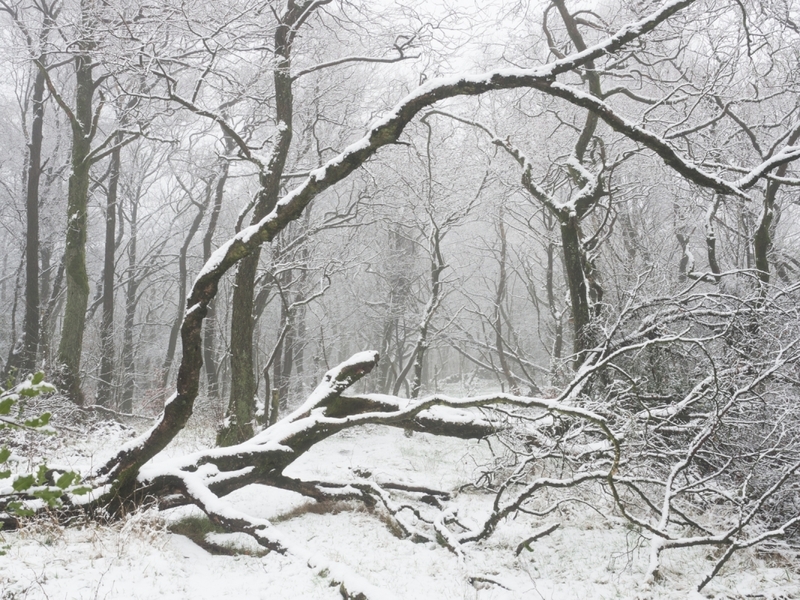 A few weeks ago I retreated into Brinscall plantations to avoid falling snow. Luckily I had my tripod to steady my shots. 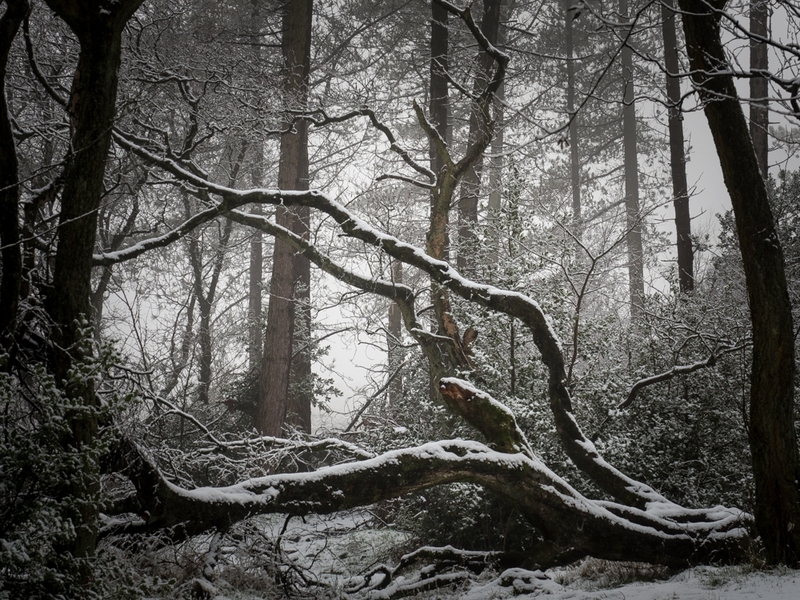 I was freezing cold with wet feet and no gloves so handheld would have been dodgy ! I am aware of blown highlights but tried to get the feel of the place. I like the PP of the second one - quite attractive in a strange way. The layer of snow on top of the branches is quite effective. Not sure whether I prefer the "dark" one of the "light" one - they're both really good. Can I suggest removing the colour on the light one? - the green leaves in the bottom left corner draw the eye a bit. I think the darker one just shaves it for me. I kept minimal colour in them for the prints I did which worked OK for me, but I take your point about the green attracting the eye. But interested in thoughts of others re the light toned ne. I think both have their own individual attributes Jeff. On #2 maybe the green leaves need desaturating just a mere tad on their own to make them less obvious but I wouldn’t convert to mono tone entirely as the hint of colour is part of the reason that this is almost a natural monotone image in real life... and that is harder to find than just pressing a button or flicking a switch on a camera or computer . We can all do that . Two very fine images Jeff . I think both have their own individual attributes Jeff. On #2 maybe the green leaves need desaturating just a mere tad on their own to make them less obvious but I wouldn’t convert to mono tone entirely as the hint of colour is part of the reason that this is almost a natural monotone image in real life... and that is harder to find than just pressing a button or flicking a switch on a camera or computer . We can all do that . Two fine images Jeff . Thanks for kind comments. I deliberately did not completely desaturated as I felt more comfortable with a picture what it was actually like there. The colour is more noticeable in the prints but not by much. Yeah I ‘m with you on keeping the element of colour ..albeit that it is muted and barely evident ... as you say ... that’s what it really looks like ... .